This badge was issued to Jillian Guthrie-Stoneburner on 30 Aug 2014. 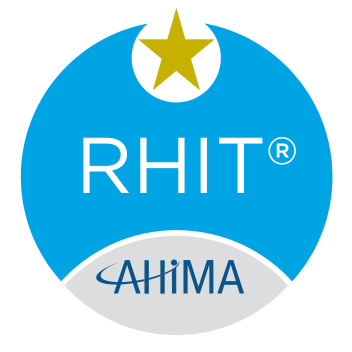 Earners of the RHIT® credential are able to ensure the quality of medical records by verifying their completeness, accuracy, and proper entry into computer systems. They are competent in the use of computer applications to assemble and analyze patient data for the purpose of improving patient care or controlling costs. Specialized roles include: coding diagnoses/procedures in patient records and working as cancer registrars compiling and maintaining data on cancer patients.